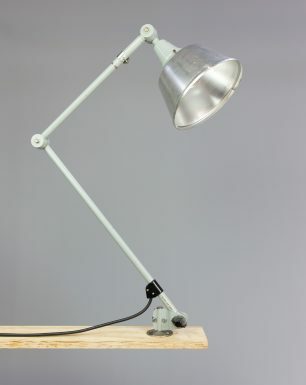 The Grey Boa is a functional yet elegant desk lamp was initially mounted directly onto a desk, but has now been complemented with a slice of Azobe wood, creating a sturdy socket. 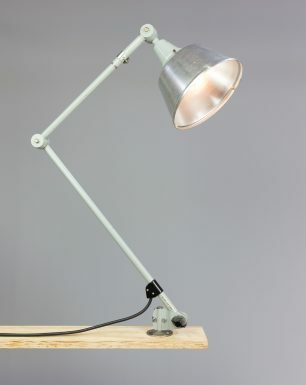 The fixture consists of a typical grey coloured aluminium shade and an adjustable arm. 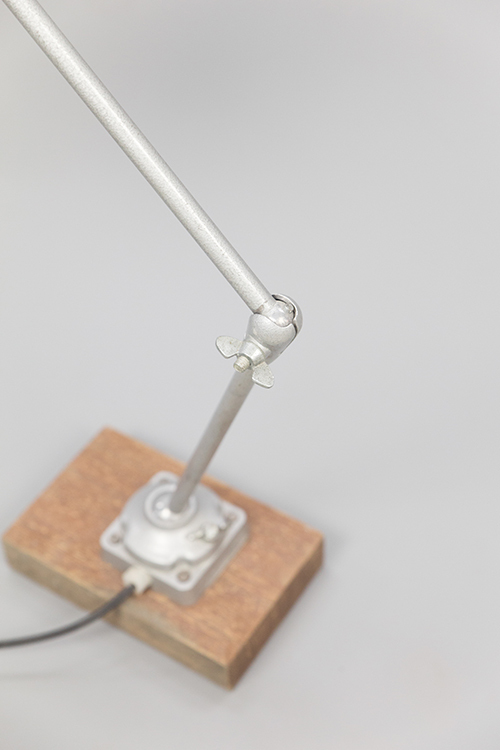 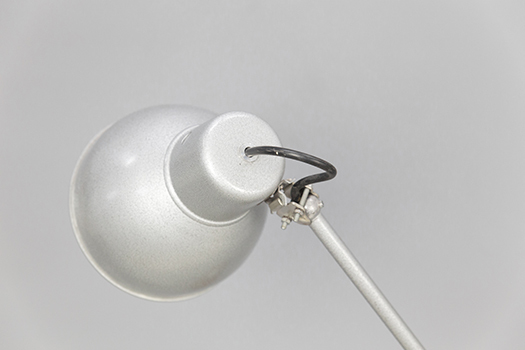 The arm features three joints – the base, the arms, and at the shade – making it a highly flexible lamp. 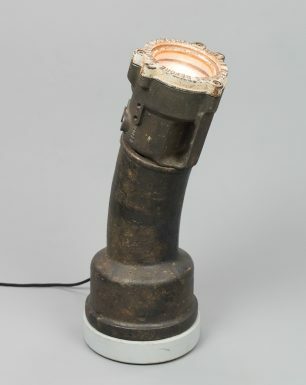 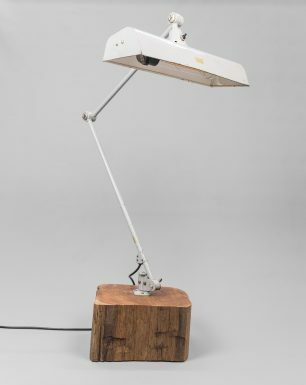 This desklight originates from an abandoned warehouse on the premises of a former military complex. 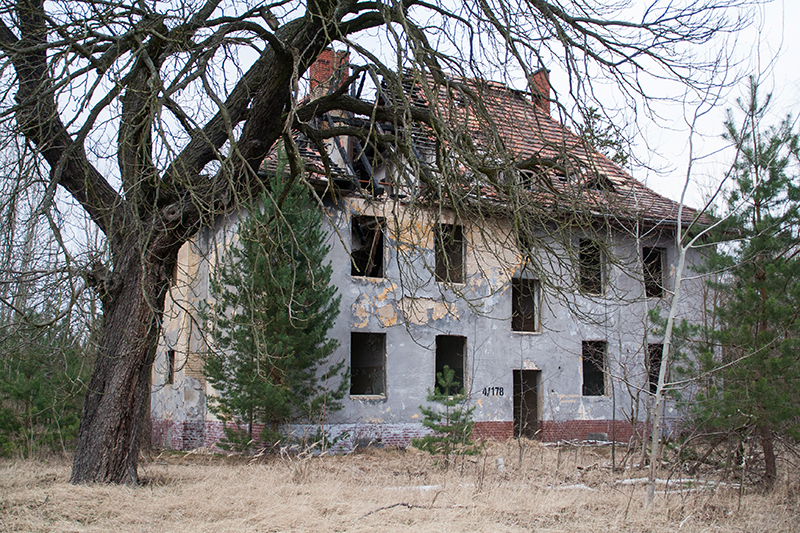 The building partly collapsed, was overgrown with vegetation and heavily affected by its natural decay. 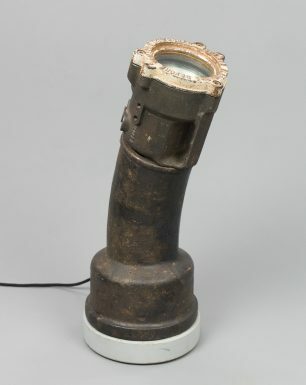 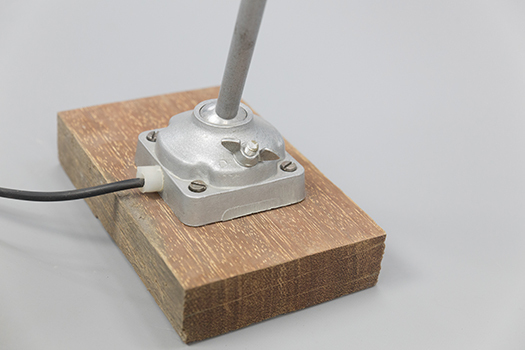 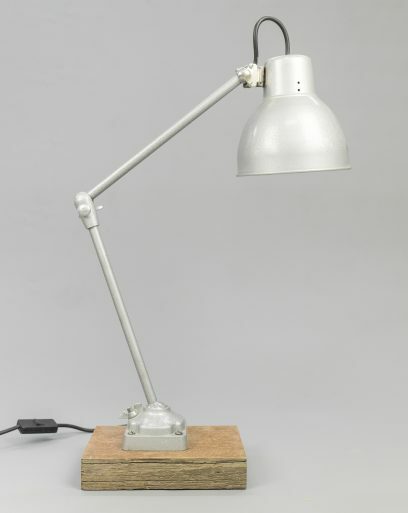 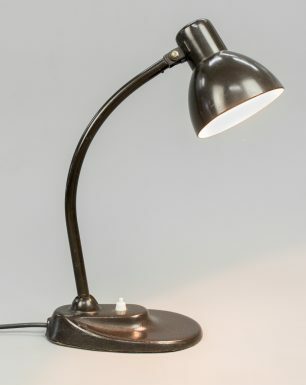 The lamp has been found in former East Germany, but was originally manufactured in the former Soviet union.